Note: A Durometer Instrument or Gauge was not used to test hardness of the squeegee. 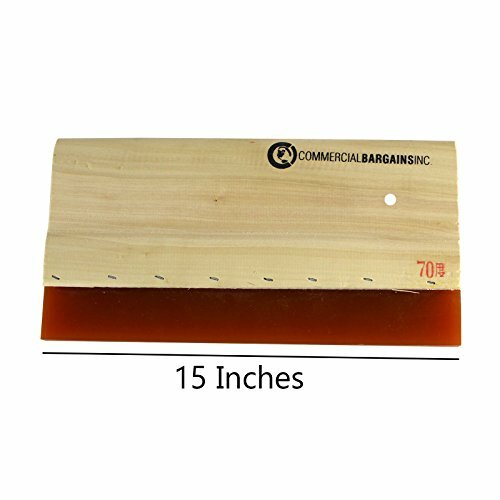 The hardness of squeegee material usually falls between 50 and 90 with 50 being the softest and 90 being the hardest. In our opinion these are medium-soft as they are somewhat pliable and if you press your nail into the rubber it will leave an indentation. We would give this a rating of 60, being Medium-Soft.